National Calvados Week! What I hear you cry? Calvados? Well if your anything like the North of England, Calvados isn’t a big market compared to some of the other categories in the spirits world, but it is in London, and to help spread the word, a whole week dedicated to Calvados has been created. 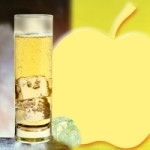 Calvados is an apple brandy, predominantly from the French region of Lower Normandy. The first known Norman distillation was carried out by “Lord” de Gouberville in 1554, and the guild for cider distillation was created about 50 years later in 1606. In the 17th century the traditional cider farms expanded but taxation and prohibition of cider brandies were enforced elsewhere than Brittany, Maine and Normandy. The area called “Calvados” was created after the French Revolution, but “eau de vie de cidre” was already called “calvados” in common usage. In the 19th century output increased with industrial distillation and the working class fashion for “Café-calva”. When a phylloxera outbreak in the last quarter of the 19th century devastated the vineyards of France and Europe, calvados experienced a “golden age”. During World War I cider brandy was requisitioned for use in armaments due to its alcohol content. The appellation contrôlée regulations officially gave Calvados a protected name in 1942, and after the war, many cider-houses and distilleries were reconstructed, mainly in the Pays d’Auge. The Calvados appellation system was revised in 1984 and 1996. Pommeau got its recognition in 1991; in 1997 an appellation for Domfront with 30% pears was created. So it seems to be a rather significant part of the spirit history, but how is it created? Apples selected for distillation into Calvados fall into over 200 specially-grown varieties. Several varieties may be used into one brand of Calvados, ranging from very sweet apples, to tart and bitter, at various proportions. The fruit is harvested usually by hand from mid-October into December and pressed into a juice that is subsequently fermented into a dry cider. This dry cider is then distilled into an eau-de-vie, which is in turn blended and matured for a minimum of two-years in oak barrels. The longer the maturation, the more mellow the final product. Usually the maturation for Calvados goes on for several years. ‘Fine’, ‘Trois étoiles ‘, ‘Trois pommes’ for a Calvados matured for at least 2 years. ‘Vieux’ – ‘Réserve’ is at least 3 years old. ‘V.O.’ ‘VO’, ‘Vieille Réserve’, ‘V.S.O.P.’ ‘VSOP’ – at least 4 years old. ‘Extra’, ‘X.O.’ ‘XO’, ‘Napoléon’, ‘Hors d’Age’ is at least 6 years old. Calvados is sold much older, typically at 6, 8, 12, 15 or 25 years. Calvados is governed by an ‘appellation contrôlée’ system, which defines the regions where Calvados can be produced; the varieties of apples used; the type of pressing and fermentation; and the distillation and the maturation. There are three Appellation d’Origine Contrôlée for Calvados ; the basic ‘AOC Calvados’ accounts for over 70 percent of the total production, prescribes a minimum of two years ageing in oak barrels and distillation in single column stills. The ‘AOC Calvados Pays d’Auge’ is the highest quality appellation, that includes all basic rules for AOC Calvados along with several additional requirements, among others a minimum of six weeks fermentation of the cider and double distillation in an alembic still. Finally, ‘AOC Calvados Domfrontais’, a much fruitier and subtler style which is made of at least 30% pears. The appellation was created in 1997 in order to accommodate the long tradition of pear orchards in the region. One brand that i’ve know of for a while now is Calvados Père Magloire. 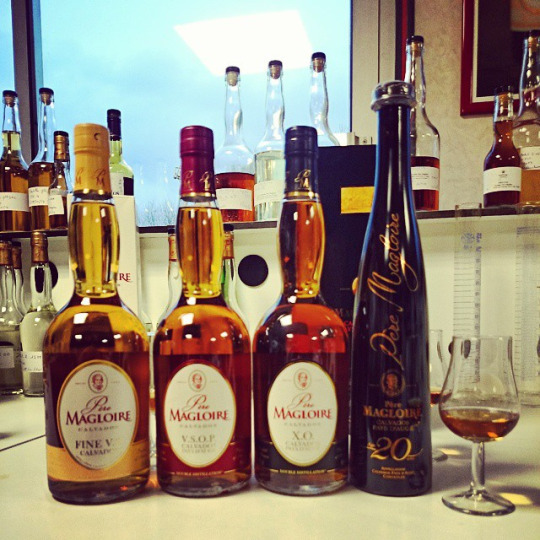 Established back in 1821 by Debrise-Dulac, he made Père Magloire brand the most important Calvados brand in France by 1900. By 1968, Debrise-Dulac was taken over by Champagne Veuve Clicquot Ponsardin, who contributed to the export development of the brand until 1998 when the independent Norman family group, Pays d’Auge Finances, took over. 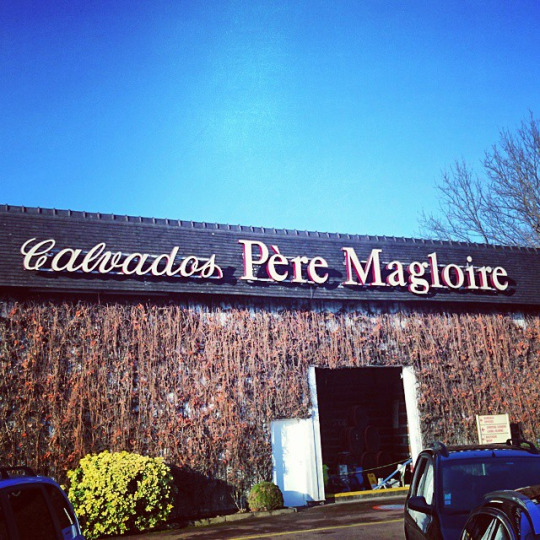 In 2005, Père Magloire maintained its position as the market leader brand of Calvados both in France and throughout the world, accounting for 70% of the export sales. Sparkling apple on the nose with a slightly stewed aroma coming through. Sharp upon the palate, with a rich, natural sweetness of apple and floral fruits combining well. Bold, fresh and long on the finish. A minimum of 4 years old. Heavy apple aroma on the nose with a crisp, fresh flavour bursting on the palate. Well rounded. Minimum of 9 years old. Caramel and fudge aromas on the nose with a light, mellow apple scent. Sharp on the palate though with a strong apple kick, pepper and dry spice, moving to a citrus finish that lingers on the tongue. Blends of between 20 and 25 years. Fresh tobacco on the nose with candied apple, butter and soft wood aromas combining. The tobacco follows onto the palate, alongside cinnamon and crisp apple. Results in a dry finish. Build the ingredients into an ice filled rocks glass and garnish with a slice of lime. If you are adventurous, National Calvados Week will give you a great insight into what is quite frankly sometimes a forgotten spirit. I’m not a cider fan, but Calvados? I could get use to it. Enjoy. skin when performing chin lipo are very tiny. same boat. Aging is a major factor in contributing double chin due to the weakening muscles and skin, thereby making the hyoid bone more apparent. or wearing a bedwetting alarm, or keeping up with good hygiene to avoid a nasty rash, we’re in the same boat. also offer group training sessions, which are usually less expensive. column of metal. Start now to make a conscious choice to do at least one thing that you can do in an outstanding way. can be extremely effective in removing your double chin without surgery.